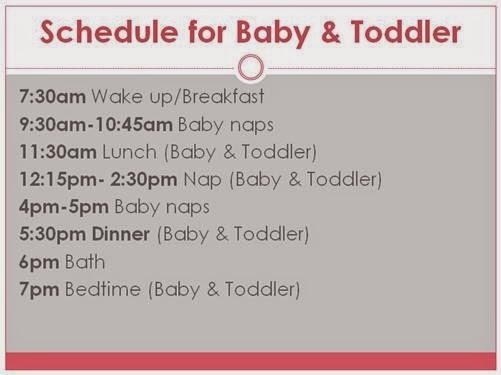 But, the reason I can get anything done is because I've kept a routine/schedule since the twins were born and Chatham got right in line. Below is the general schedule we keep these days. Chatham's personality is much more easygoing so sometimes her naps can be moved in order to get some things done or if we have fun activities to do! The twins' nap however- never, ever changes because they are like little cranky, crabby mini-adults running around if they don't get their naps. So, about twice since they've turned 1 have we missed their nap. How do you make it work at your house?